Deposit receipt forms are documents that can act as solid evidence for payments already made. 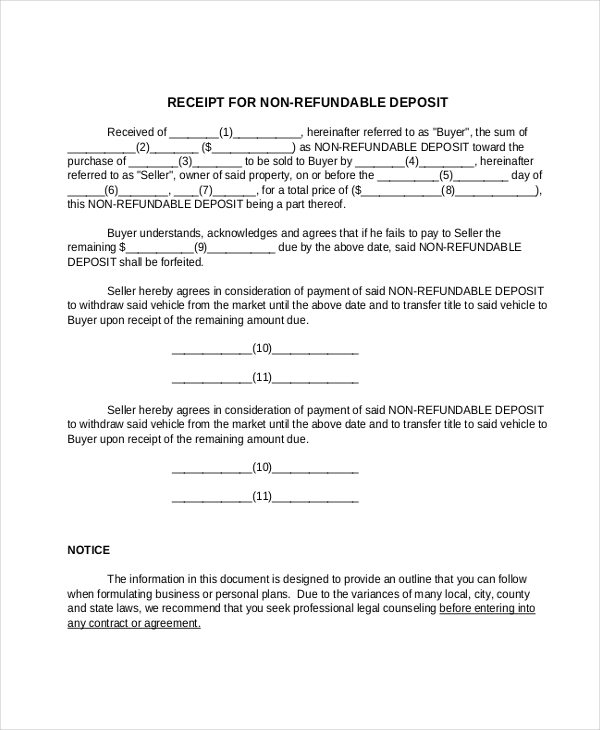 The file is significant because it proves that an individual didn’t just make a payment but also the payee does recognize the transaction in question as complete, either in full or in bits depending on the deposit agreement between the duos. 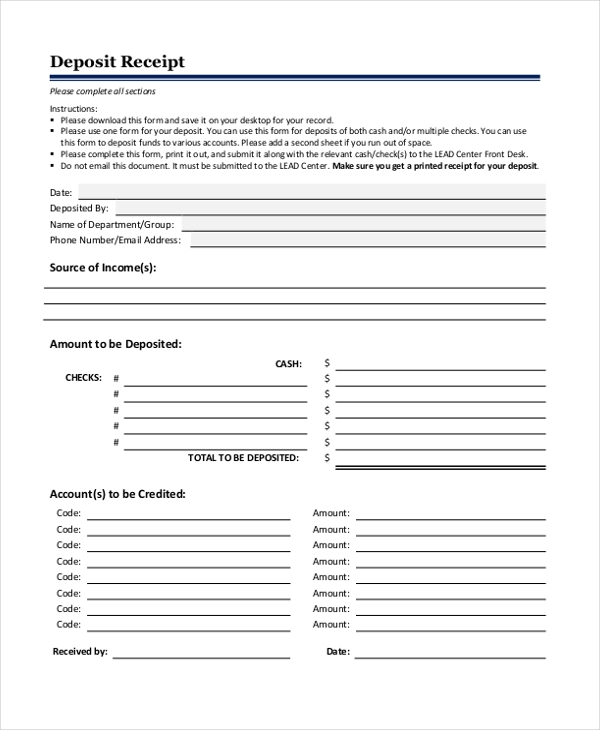 To get started, let’s look at some of the very best forms that you should use as Deposit Forms. 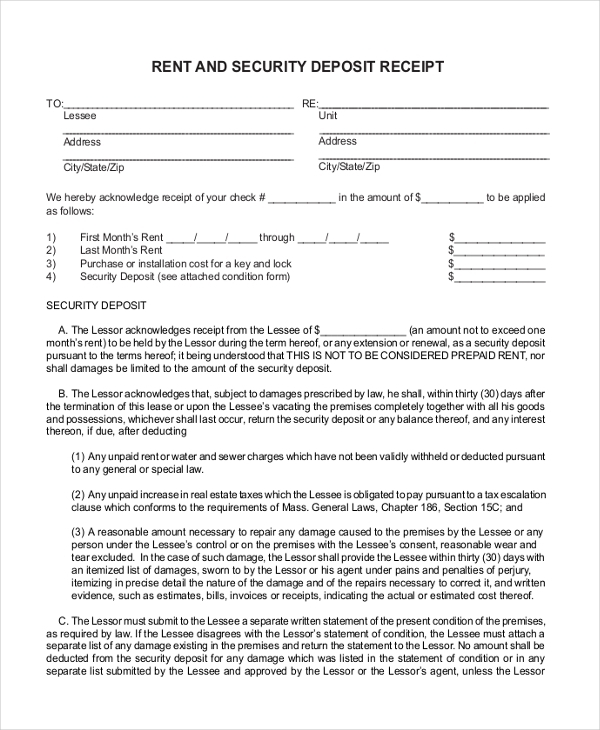 You use this form as an approval that a tenant has paid the rent for the given amount of money for a period not exceeding four weeks. As a Landlord, you can use the file for reference purposes only. A blank deposit receipt often gives users more control over the information they can fill out. While it would be helpful to use this form as is, there is nothing wrong with customizing the layout. 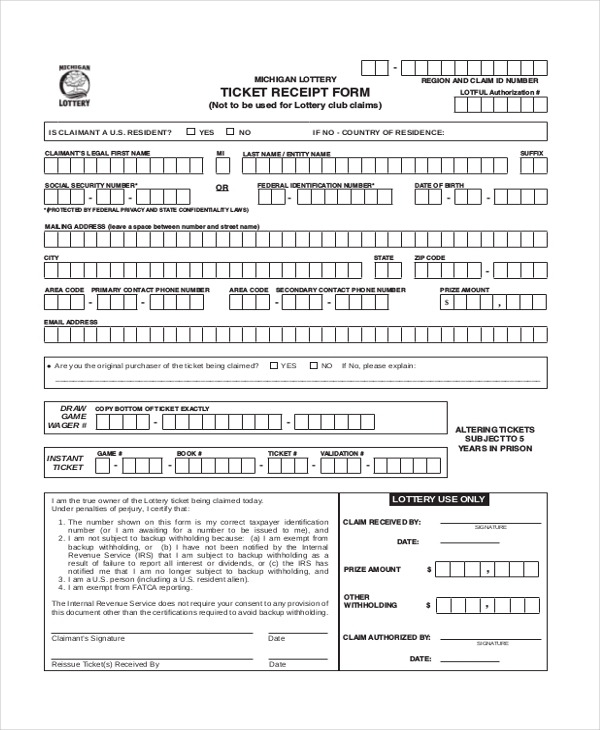 The Ticket Deposit form is a 2-page file that you must read carefully before filling out. If anything, make sure you provide up to date information that can be treated as relevant and authentic. 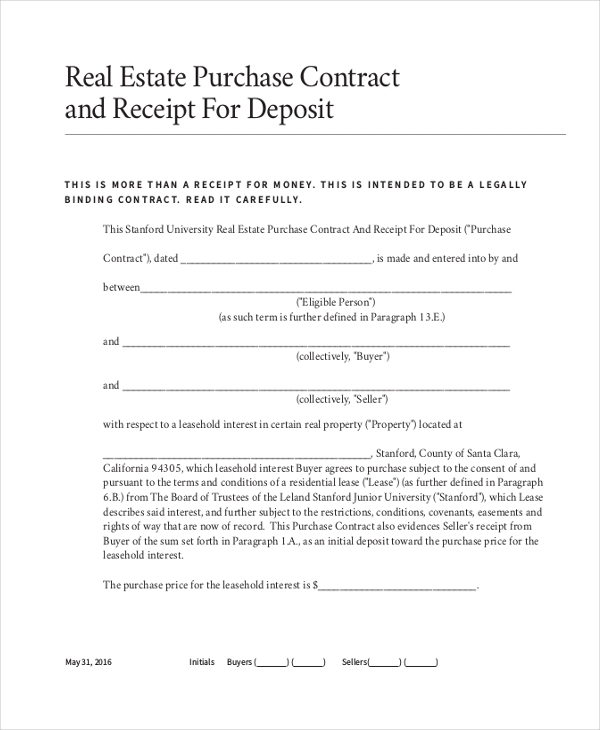 This is a 19-page read, so you should schedule enough free time to read through before you express your interest in the real estate contract. Luckily, the form is simple to review, so it should not take you long. People who want to hold your property as rental must always pay a certain amount of money every month. 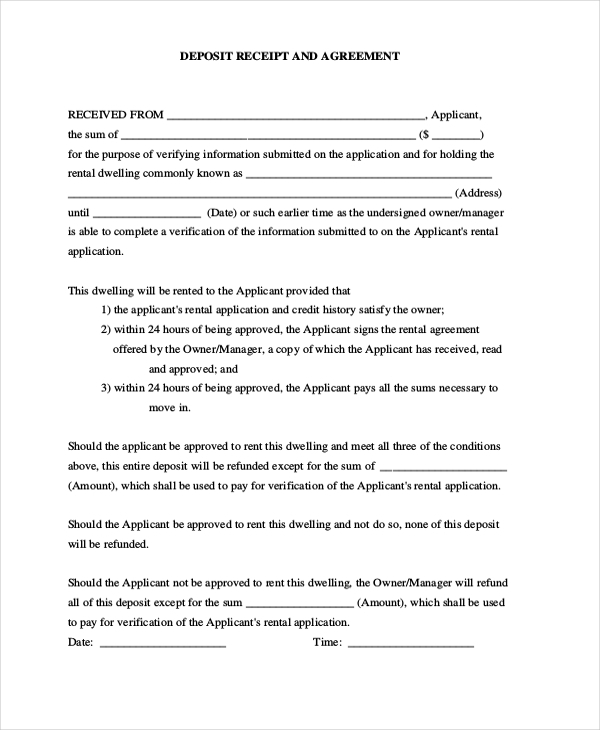 This form can help you to verify the payments made by an occupant. 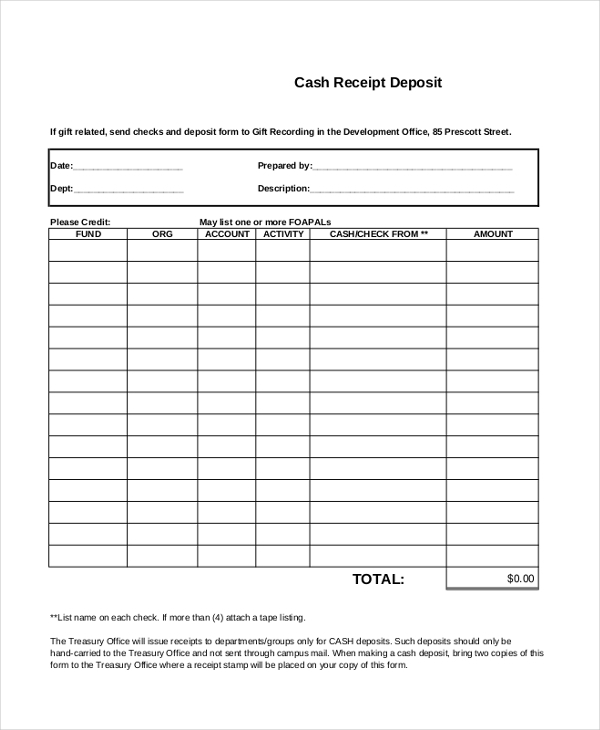 The cash receipt deposit form is a blank document with rows and columns. It is the right document to use if you would like to make cash or check deposit to various accounts. 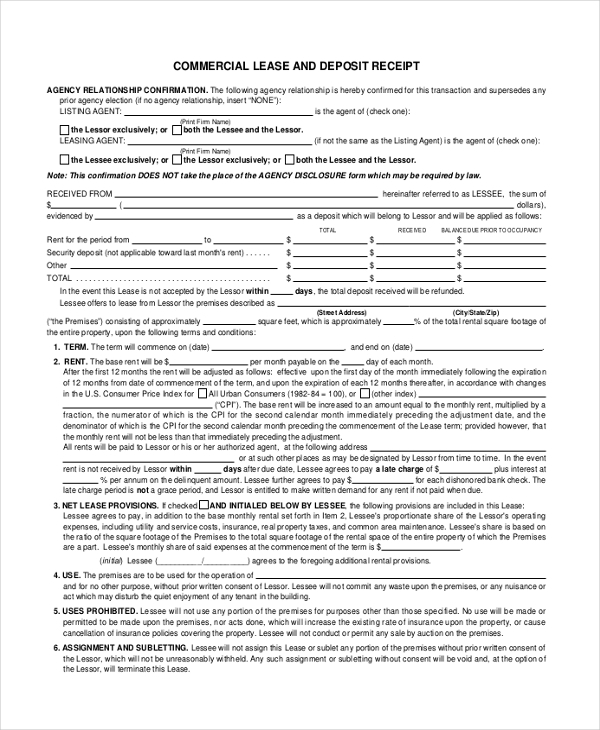 Commercial Lease form is easy to fill out. The design is already complete, which means the file is ready for print. However, if you would like to customize the document, feel free to do so. 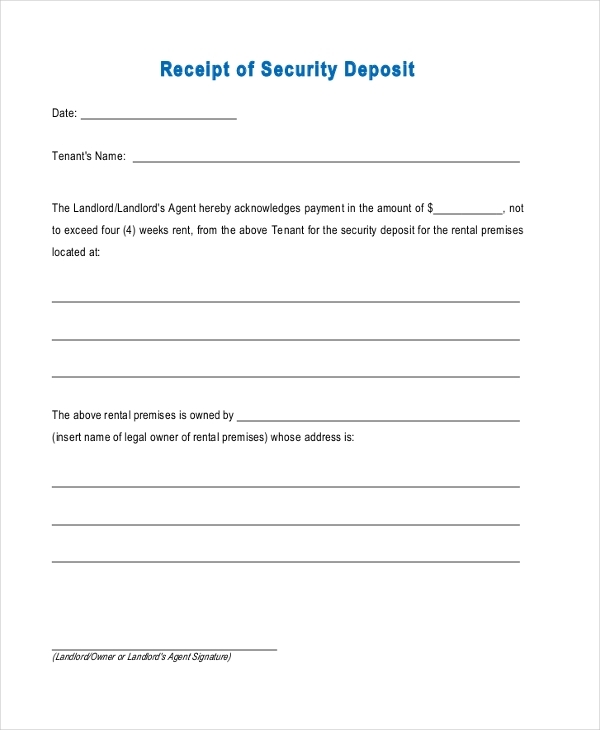 If you own a rental property, you know that rental deposits are necessary for your very own security. As such, you should use this sheet to keep an up-to-date record of these payments. 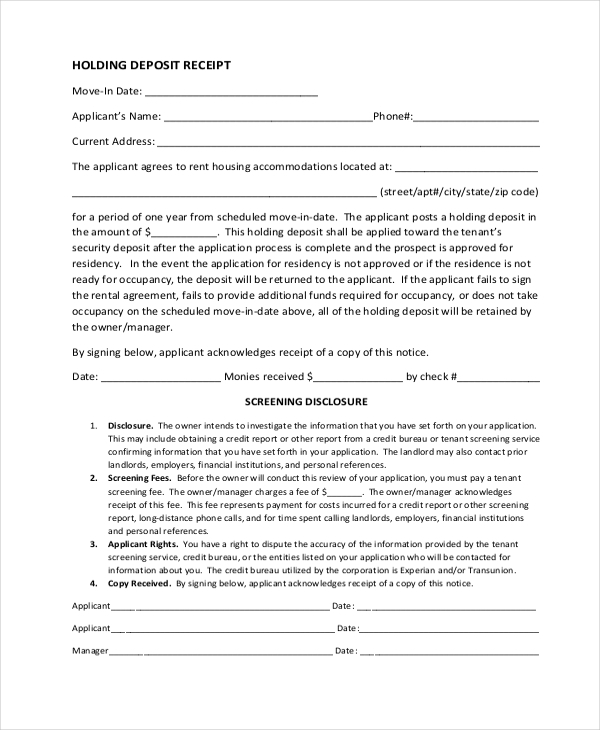 If you are operating a real estate business where refunding deposits is a no-guarantee, you want to consider using this sample file. The sample file is easy to fill out. If you are looking for a form that you can download for free and use without having to do any kind of extra design work, this would be the best sample form file to download. Although you can create the sample forms yourself, think about how much time you are likely to put to work to get a deposit receipt designed. Of course, you are likely to spend a lot of time on the task, and it may end up rather overwhelming. Because that’s the real case, why not save your time by downloading a free sample form instead!